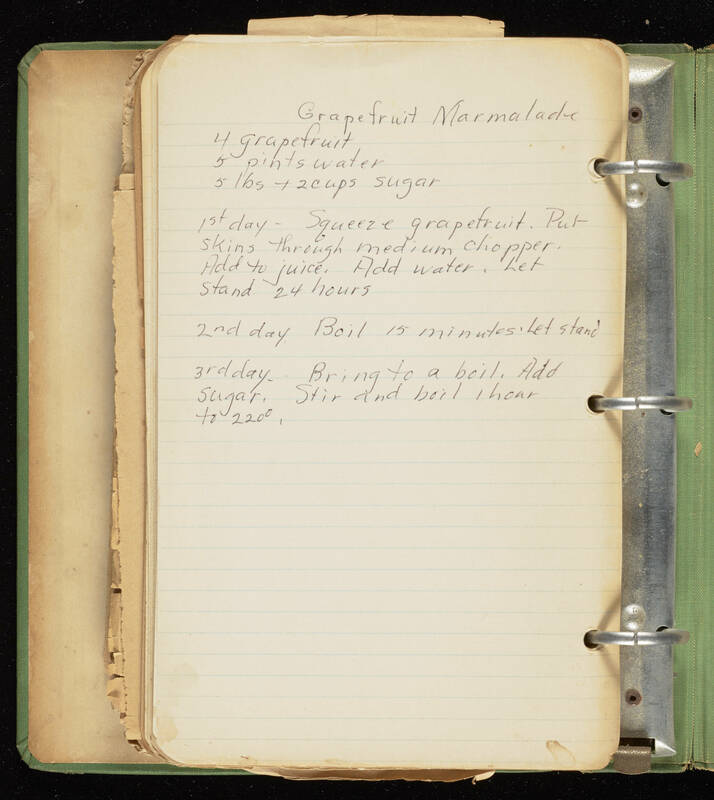 Grapefruit Marmalade 4 grapefruit 5 pints water 5 lbs + 2 cups sugar 1st day- Squeeze grapefruit. Put skins through medium chopper. Add to juice. Add water. Let stand 24 hours 2nd day Boil 15 minutes. Let stand 3rd day. Bring to a boil. Add sugar. Stir and boil 1 hour to 220º.